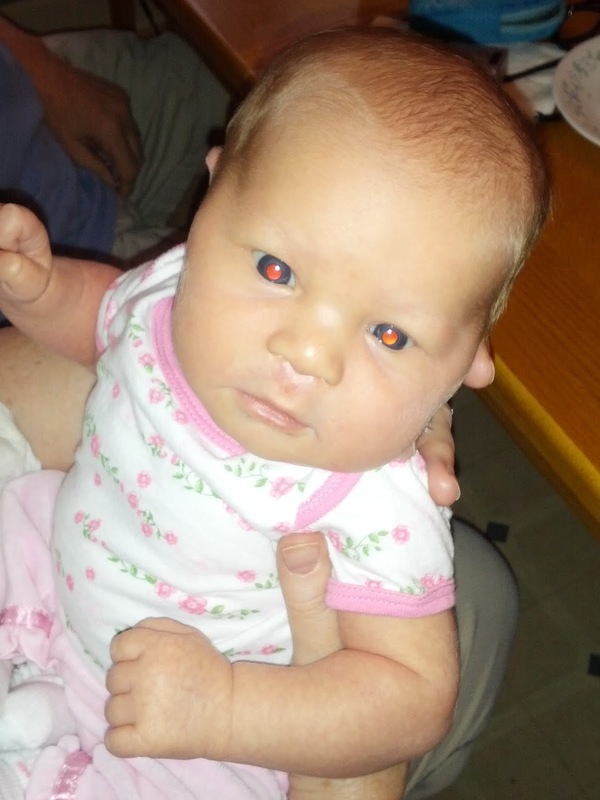 The following is a true story on how my daughter was almost an alien. Only the names were changed to protect the innocent (in this case, there are none, but in the event future revisions add an innocent person, we'll call him Charles (unless his name *IS* Charles, then it will be Jorge Ricardo Dominguez Esq.)). 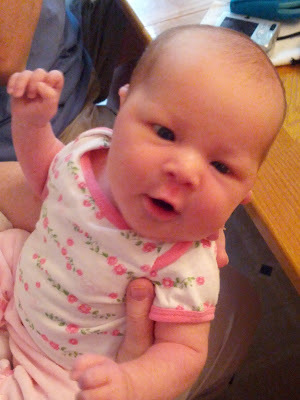 It all started about 7-ish months ago when we found out that my wife was having a daughter. We needed a name for said daughter. Long before our first was born we had picked the name Abigail as a first name for a girl, but we still needed a middle name. It is especially fitting since her parents are classed by the US Government as "Resident Aliens" (if you doubted that aliens exist, rest assured that we do live among you). To me this was the height of hilarity. My wife, annoyingly, disagrees. Proving once again that although she is clearly my better half, I remain the funny one. Once my wife figured out my nefarious plans, she immediately put the kibosh on the extra-terrestrial moniker and exercised her veto rights on her offsprings name. Her position would not budge... not one little bit. So let this be a lesson to you budding fathers out there: If you come up with an awesome name for your offspring with a hidden double meaning, do not tell the mother the nature of the hidden double meaning until after the birth certificate is signed. All right, fine. She'd be a small alien, but she'll eventually get bigger. Whatever she is, she's beautiful, God Bless!